Information Technology University’s Center for Technology in Governance (CTG) has signed a Memorandum of Understanding with the Lahore Transport Company (LTC) for the Lahore in Transit project, which will digitize all the public transport routes of Lahore to facilitate citizen access. This MoU was signed between Dr. Umar Saif, the Vice Chancellor of ITU and Mr. Khawaja Haider Latif, the CEO of LTC in the presence of the ITU Registrar Mr. Zaheer Sarwar and LTC CTO Badie Khan and his team at Arfa Software Tech Park on the 21st of May. The goal of Lahore In Transit Project is to facilitate the commuters who primarily use urban public transport network for their daily commute. The project aspires to empower commuters and to increase the reach of urban transport by dissemination of information. This will be an unprecedented step towards empowering commuters and will place Lahore in the list of cities which use digital means to facilitate its citizens. The “Lahore in Transit Project” will be carried out in three phases. In the first phase, all the geographic data on local transport in Lahore will be collected, digitized and uploaded on Google Transit, making Lahore the first city in Pakistan to become accessible through Google Transit. Citizens can then avail the facility of entering their current location and intended destination on Google Maps and access the most relevant intra-city public transport routes immediately. In the second phase of the project, LTC’s existing SMS service will be optimized through the use of smart algorithms, which would enable commuters to plan their journey through a simple SMS. Alongside, it is also intended that a dedicated smartphone application will also be developed for this purpose. The final phase of the project involves the designing and prototype development of low cost Smart Boards which will display the expected time of arrival of the next bus, which can be installed at every bus stop at Lahore. This project will also cultivate the spirit of volunteerism and community service in the society by using student volunteers to help collect and publish the data. Dr. Saif expressed great enthusiasm for this project; he said he had great hope in the young generation for coming up with innovative solutions to pressing public sector problems and also cited this project an excellent example of cooperation between the academia and the public sector. Mr. Latif said he looked forward to working with ITU on this project. 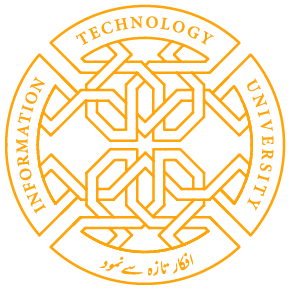 Share the post "Information Technology University Signs an MoU with Lahore Transport Company"